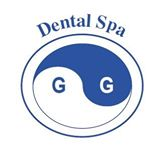 Dr. Gertsen has over 35 years of experience in the dental profession, including almost 20 years of work as an oral surgeon in the former Soviet Union. His focus is to provide superior care to his patients and to not only improve their smiles, but their overall health.Our office takes a holistic approach to treating our patients. We believe oral health has a strong correlation to the body's health and so it is important to maintain a healthy mouth.